The treatment of caries has proven quite challenging, and we must aim to prevent them, rather than to intervene surgically. This can be possible with early detection and with tools that are more sensitive than what clinicians can detect. One such diagnostic tool is called the DIAGNOdent. DIAGNOdent is a laser-probe handpiece that measures fluorescence for the detection of tooth decay. It works by shining pulsed light of a known wavelength onto the tooth surface via specially designed tips. After a baseline measurement of the patient's healthy tooth structure is made, the tip is placed on questionable areas of the tooth and slowly rotated or rocked with a pendulum-like motion. The unit's internal processor interprets changes in the level of fluorescence of the light emitted back by the tooth as indicative of caries. A numerical reading is displayed on the front of the unit, and an audible signal is sounded. KaVo America claims that the device works through non-cavitated tooth structure and can be used, over time, to monitor changes in the degree of decalcification of a suspect area. Bader and Shugars published a systematic review of the literature on DIAGNOdent in the October 2004 issue of the Journal of the American Dental Association. Twenty-five studies were included in the review. The authors concluded from their literature review that DIAGNOdent is more sensitive (detecting caries when it actually exists) than visual assessment methods. However, the device is less specific (correctly identifying an absence of caries) than visual methods, leading to potentially more false-positive diagnoses. Unfortunately, a false-positive diagnosis of dentinal caries may lead to tooth preparation with irreversible damage. The reviewers concluded that DIAGNOdent should not be relied upon as a clinician’s primary diagnostic tool. However, clinicians could use the device after visual or tactile examinations to provide additional information about the chances of disease on the surface in question or to identify surfaces with demineralization to signal the use of preventive services such as fluoride varnish or sealants. The intraoral camera was first introduced in 1987. It is a wand-like device with a tiny magnifying lens that projects a picture from a patient's mouth onto a screen. The image, which is magnified up to 40 times its original size, allows the dentist to see fractured enamel, gum recession, fracture lines in teeth, and breakdowns of restorations. It also allows the patient to see the images, which may lead the patient to be more receptive to treatment plans. The pictures can serve as documentation for insurance companies. Intraoral cameras can be either digital or analog. Analog models currently provide greater ease of use, but digital is improving each year. Intraoral cameras are reported to improve patient evaluation and diagnosis by improving the operator's ability to see intraoral conditions. Studies have shown that intraoral cameras have significantly increased the number of occlusal lesions detected. They have also been proven to be a suitable adjunct to help improve caries detection. (See Forgie AH et al. 2003. The assessment of an intra-oral video camera as an aid to occlusal caries detection. International Dental Journal 53(1):3–6. Air abrasion is an old technology emerging with a new place in modern dentistry. The role of air abrasion in dentistry is to preserve sound tooth structure surrounding a lesion. (See Rafique S et al. 2003. Clinical trial of an air-abrasion/chemomechanical operative procedure for the restorative treatment of dental patients. Caries Research 37(5):360–364.) Air abrasion works by blasting small alpha alumina particles (27 or 50 micron) at high velocities onto the tooth surface. Existing dental clinic compressed air or a supplemental compressor supplies the air pressure required to direct the particles through a small nozzle at high velocities. We have made advances in the field of dentistry with providing alternative methods to treatment that include lasers to treat soft tissue and hard tissue. Lasers can be used for caries prevention, bleaching, restorative removal and curing, cavity preparation, dentinal hypersensitivity, wound healing, and removal of soft tissue. Lasers can sometimes increase efficiency, ease, and cost and comfort of oral health treatment. Until recently, dental lasers have not been widely used because of their high cost and limited applications. Over the past several years, the use of apex locators and rotary endodontics has become commonplace in the private sector. Studies indicate that apex locators are routinely more accurate than traditional radiographs in accurately determining working length. Studies have shown that radiographic measurement tends to underestimate the working length; evidence demonstrates that apical constriction and the true apex only coincide 52–59 percent of the time. (See Fouad AF. 2000. 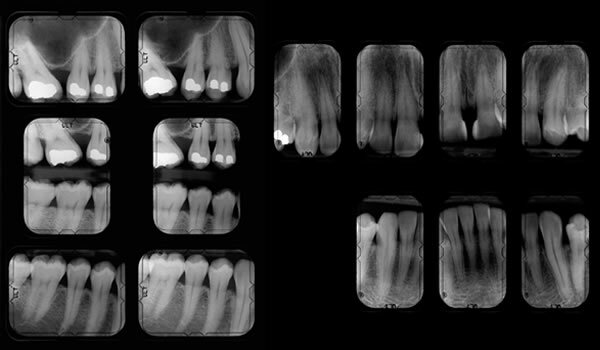 Effect of using electronic apex locators on selected endodontic treatment parameters. Journal of Endodontics 26(6):364–367.) Additionally, apex locators are significantly faster than radiographs and reduce the patient’s exposure to ionizing radiation. Rotary endodontics requires the use of a specialized handpiece and specially designed files. Check with your manufacturer or get more information from the American Association of Endodontists. Studies comparing traditional endodontics with rotary endodontics and apex locators generally conclude that rotary takes less time, frequently requiring only one appointment even for molars; requires fewer post-treatment interventions; and achieves the same survival success as traditional endodontics. Based on these findings, it would be reasonable for a safety net dental clinic that regularly performs endodontic procedures to invest in an apex locator, electronic rotary handpiece, and NiTi files. Many high-volume, high-profit private practices specializing in esthetics and crown and bridge use CAD/CAM technology to produce single-visit porcelain inlays, onlays, copings, crowns, and three-unit bridges. CAD/CAM dental technology was introduced in 1985. Since then, the technology has been refined significantly. Unfortunately, this technology comes at a steep cost, averaging around $140,000 for a complete system. Due to the very high cost of these units, CAD/CAM machines are probably not appropriate, and not necessary for the average safety net dental clinic. The latest gadgets that are starting to gain interest but are not yet accepted into mainstream dentistry are 3D printers. This technology allows the clinician to 3D print bridges, crowns, surgical drill guides, night guards, and other dental appliances at a lower cost associated with more convenient patient care.